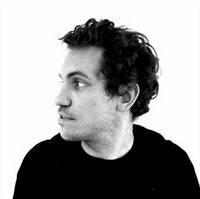 Marc Fornes will teach how to get the most from RhinoScript starting from the basics (operators and functions, conditions, arrays) to the final analysis, description, reconstruction and tessellation of NURBS surfaces. Marc Fornes, Architect DPLG, is the founder of THEVERYMANY, a design studio and collaborative research forum engaging the field of architecture via encoded and explicit processes. Rhino and RhinoScript expert, Marc collaborates with McNeel on a regular basis.